From his court at Camelot, King Arthur ruled over a unified Britain in a mythical age of peace and prosperity. His glory, however, would be short-lived. For even as he drew the sword from the stone, a doom settled over Arthur that would see his kingdom fall to betrayal and war. 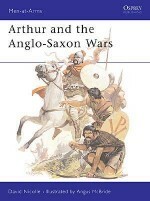 In this book, Daniel Mersey retells the great stories of Arthur, from his winning of Excalibur and his marriage to Guinevere, through his battle with the giant in France and his war against the army of Rome to the treachery of Mordred and his death at Camlann. Supporting this narrative is an exploration of the different facets of Arthurian myth, including the numerous conflicting theories of his historical origin, the tales of Welsh folklore and Medieval romance, and even his various portrayals in the modern media. Presented with both classic and newly commissioned artwork this book is an easy-to-read, yet highly detailed introduction to the complex body of myth and legend that surrounds Britain's greatest hero.